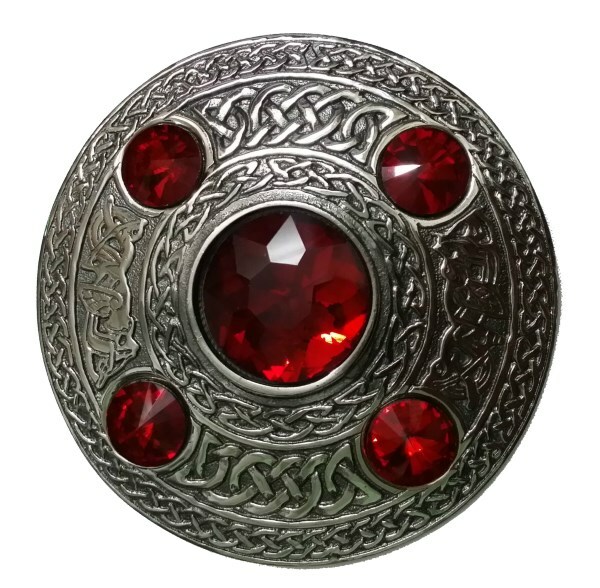 Premium brooch decorated with Celtic knotwork patterns and five red stones. Ideal for those of Welsh or Manx heritage as red is the national colour of Wales and the Isle of Man. + Brooch made in brass with a chrome finish and five red synthetic stones.